At home or at school, this innovative website teaches: Nutrition, Physical Activity, Self-Esteem and Living Green. 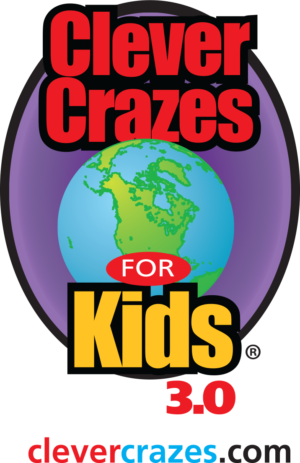 Clever Crazes for Kids is a project of a non-profit organization FREE to kids, parents, teachers and schools! Kids can learn a healthy lifestyle from the minute they enter the website. They can begin earning points as they navigate the site. The results will be calculated and included in data to win prizes for their school... the adorable “avatars” (animated children modeled after real-life kids) will show you how. Join your kids as they experience the different worlds and learn about Nutrition, Physical Activity, Self-Esteem and Living Green.